In 2018, the SBR market showed a relatively mild fluctuation trend, with mainstream prices of SBR 1502 fluctuating in the range of RMB 11,700-13,600/mt. The overall price of SBR was below the 2017 average price. Prices of feedstock butadiene kept fluctuating higher. Bolstered up by the cost and the turnarounds, SBR prices were RMB 2,000/mt higher than that of natural rubber. However, production formula adjustment in downstream industries and shrinking consumption volume stemming from the high spread between SBR and natural rubber price had curbed the SBR market from going higher. Against of a backdrop of environmental protection supervision and safety production inspection, how will SBR producers respond in 2019? Amid long-term production losses combined with disadvantages in feedstock procurement, which way does domestic SBR producers should choose? In 2019, new butadiene units will be built. Will the feedstock supply undergo major changes, and can the profit of domestic SBR producers be improved? In 2018, the supply pressure of natural rubber dampened the uptrend. How will the supply and demand relationship change in 2019? 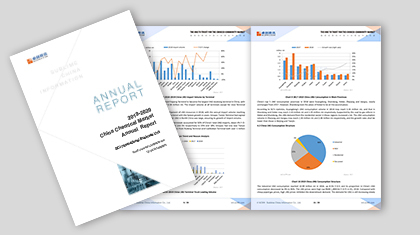 Based on the research data of SCI, combined with the authoritative data published and provided by China's National Bureau of Statistics, the General Administration of Customs, etc., as well as the experience of senior industry experts, domestic mainstream suppliers, traders and large downstream producers, this report carries out detailed data forecasting and elaboration on the SBR market, and the combination of charts and tables will more intuitively show the changes in the industry. SCI has accumulated rich data and predictive analysis methods for 14 years, which can systematically grasp the trend of the industry and conduct multi-dimensional analysis of the market. The report focuses on the analysis of the evolution of supply and demand pattern, combining with the detailed data such as price, profit, operating rate, output, consumption and a large number of graphical analysis to help customers get a clear understanding of market changes, avoid investment risks, and make effective decisions. (1) Analyze the supply-demand fundamental changes in the current and future SBR market amid the background of the wide spread between SBR and natural rubber. (2) Analyze the operating rate and the profit in China’s SBR market in the year 2018 of high costs. (3) Present the influence of environmental protection supervision and safety production inspection and the respond of domestic SBR producers. (4) Analyze feedstock supply changes on the SBR market against a backdrop of butadiene units constantly going into operation. (5) Interpret the new features of the SBR market in 2018 by analyzing the SBR downstream operation indexes. (6) Understand the future SBR market trend and supply-demand pattern changes through the elaboration of macro economy and industry policies.